Isn't it always the luck that some of the most covetable things in fashion are the most impractical? Take, for example, anything and everything white. A perfect white coat, ivory stiletto pumps, a wedding gown, you get what I mean. At the moment, my impractical fixation is on white handbags. I honestly cannot resist their clean, fresh appeal. Already I'm envisioning how it will turn blue when it rubs against my jeans and is practically begging to have red wine and coffee dripped all over it's lovely leather... and yet. Are you as into white bags as I am? 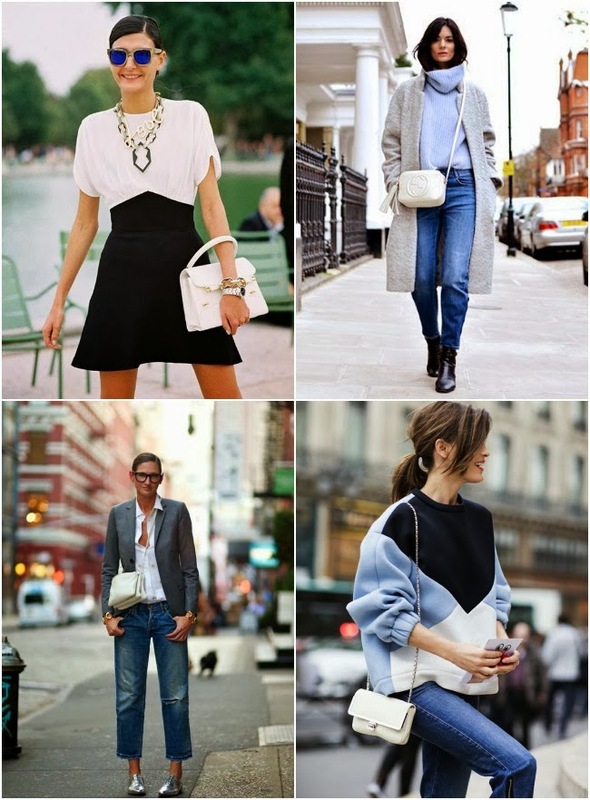 Love a white bag, except it's so difficult to keep them clean! I'm obsessed with that sweater in the bottom right hand corner. Wow, Beautiful selection of white handbags. White is my favorite color in handbags. I have a 4 white handbags.These all handbags are trendy and latest designs. Thanks! !